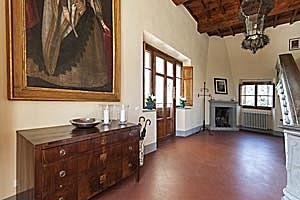 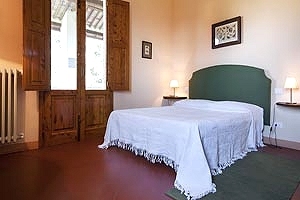 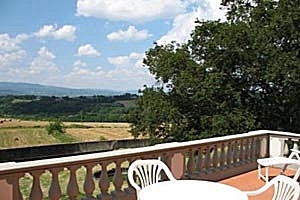 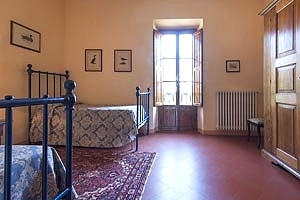 The villa (12 sleeping accommodations) is situated in Vicchio, in Mugello, on the Tuscan Apennines, in the province of Florence. 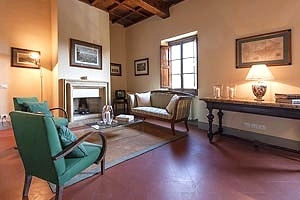 In the neighbourhood are many famous Medicean villas and magnificent still less-renowned Romanesque churches that are certainly well worth a visit. 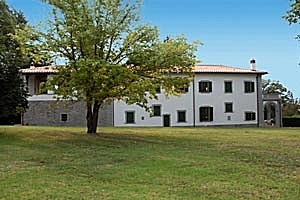 Around the estate stretch numerous pathways for relaxing strolls and long horse-back or mountain-bike rides. 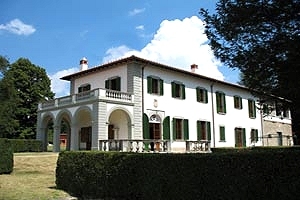 Barberino Outlet Village and lake Bilancino are just a few kilometres from the villa. 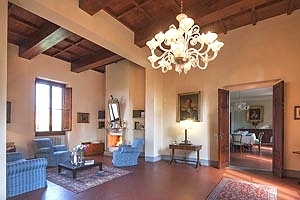 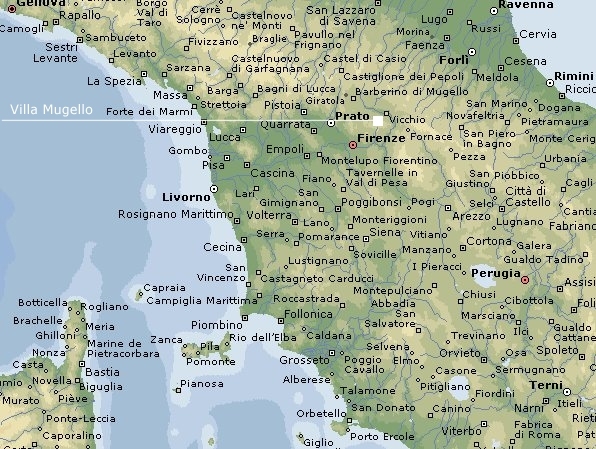 Many important Tuscan cities of art, such as Florence, Arezzo, Siena, Lucca and Pisa are easily reached for one-day trips. 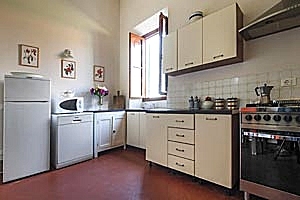 Provided with all comforts (TV set, iron, washing machine, barbecue equipment), the building is surrounded by a wide park. 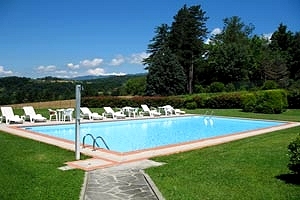 Here are the swimming pool (exclusively reserved to guests) furnished with sunshades and sunloungers, a grove of century-old trees and a chapel. 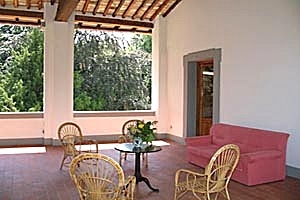 The villa features also a furnished portico for eating al fresco. 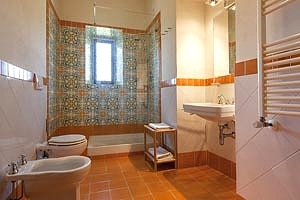 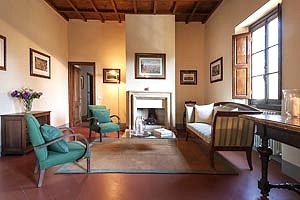 During the recent renovation works the original terracotta-tiled floors and beamed ceilings have been maintained. 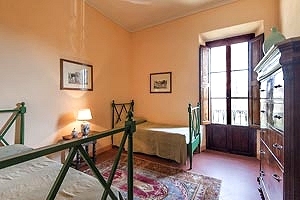 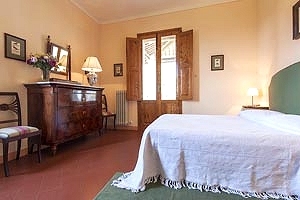 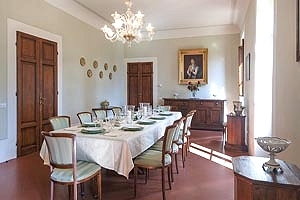 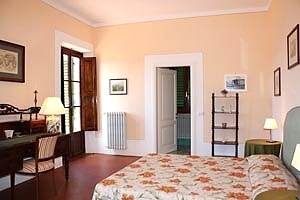 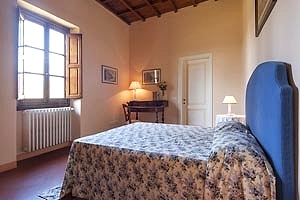 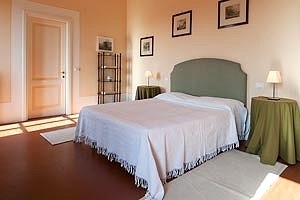 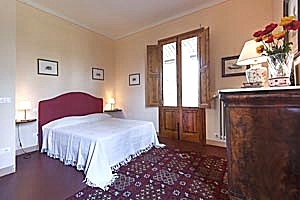 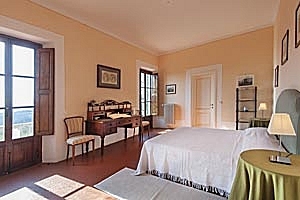 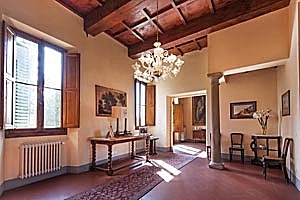 The two-storey building is furnished with period furniture and the windows and balconies look onto the gorgeous forests of the Mugello valley. 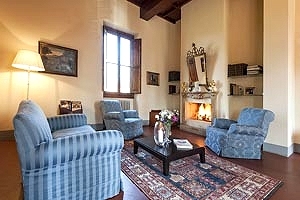 The villa (6 double bedrooms and 7 bathrooms) spreads out over two storey. 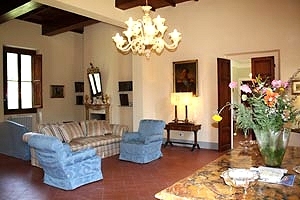 The ground floor composes of hallway, dining room, two living rooms with fireplace, fully equipped kitchen and 2 bathrooms. 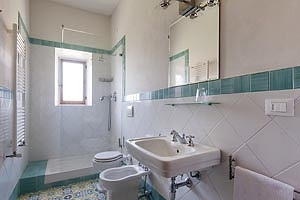 On the first floor are 4 double bedrooms, 2 double bedrooms with dedicated bathroom either with bathtub or shower, living room with TV set and fireplace and 3 bathrooms. 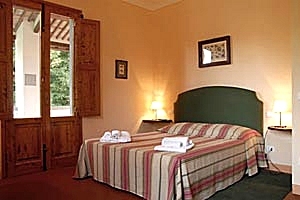 At guests` disposal: baby cot and phone (services available on request).